I love playing with bugs during therapy as they are small and lend themselves well to pretend play and using manipulatives and tools. Develop fine motor skills when picking up bugs with clothespins or tweezers. two sets of bugs included. One set of 12 multicolor bugs, and one set of 12 realistic looking bugs. Kids will develop muscle strength, eye hand control, and visual perception as they catch and play with their bugs. 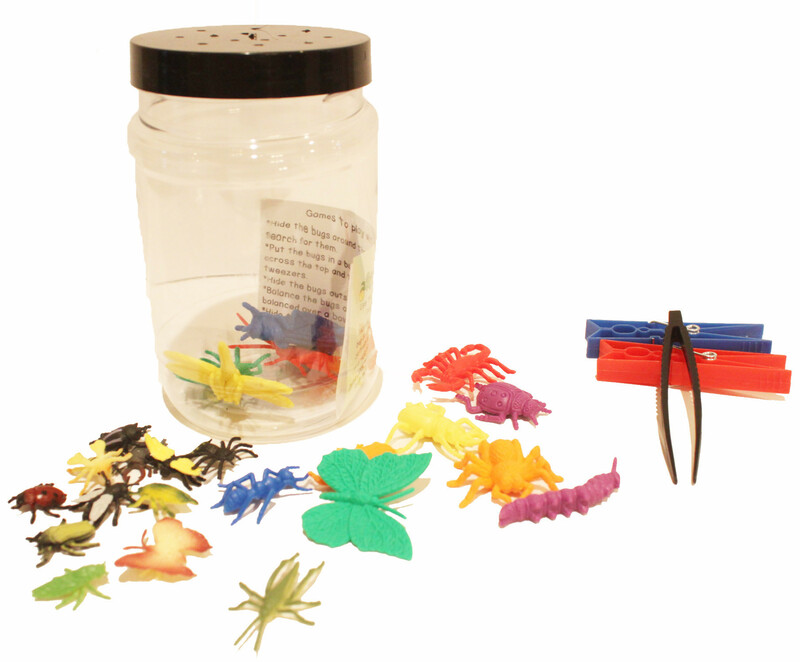 The pack includes a plastic bug jar, tweezers, clothespins, and two sets of bugs. One set of bugs is 12 multi-colored bugs, and the other set is 12 realistic bugs.